PLEASE NOTE: The currency in Peru is the Peruvian New SOL (I will refer to them as P$s). At the time of writing, US$1 = P$3.36. The currency in Bolivia is the Boliviano (I will refer to them as B$s). At the time of writing, US$1 = B$6.90. We (my sister Diane, my brother-in-law Jeff, and I) had just completed our tour of Machu Picchu and The Sacred Valley. 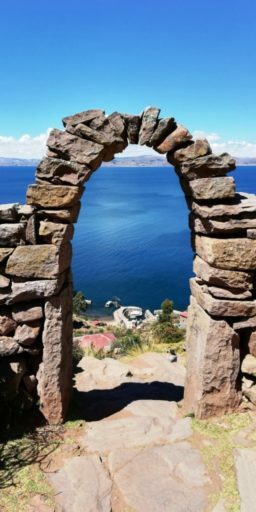 It was time for us to head south to Lake Titicaca. 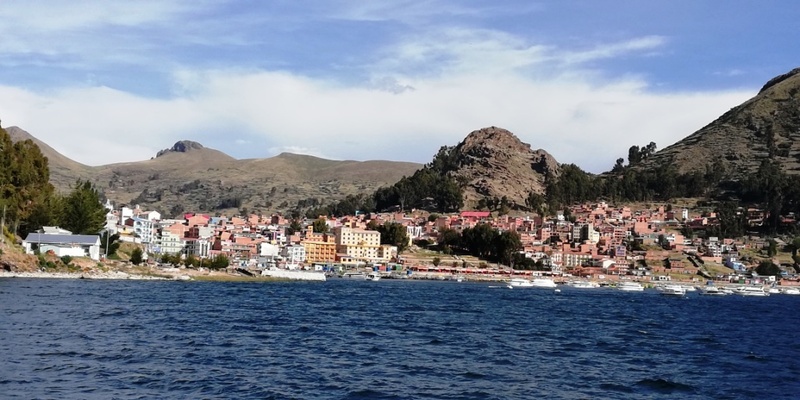 We planned a 3 Island Tour from Puno, Peru and a Day Tour to Isla Del Sol, Copacabana, Bolivia. 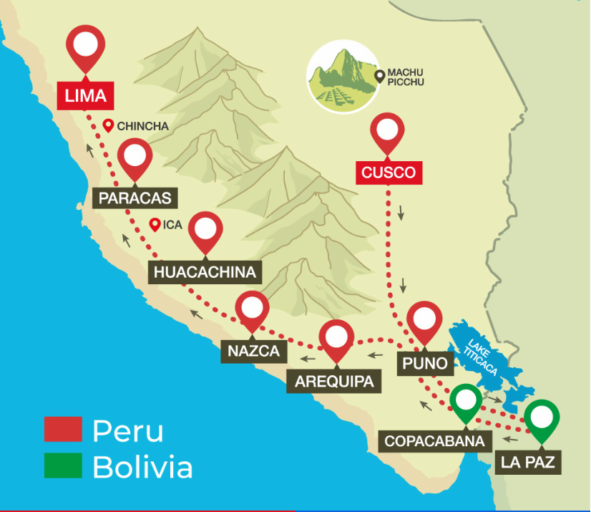 We purchased the Peru Hop / Bolivia Hop ‘big loop’ ticket from Cusco to Lima. The price was US$219 each but we got our tickets at a discounted rate of US$209 because we were 3 people. 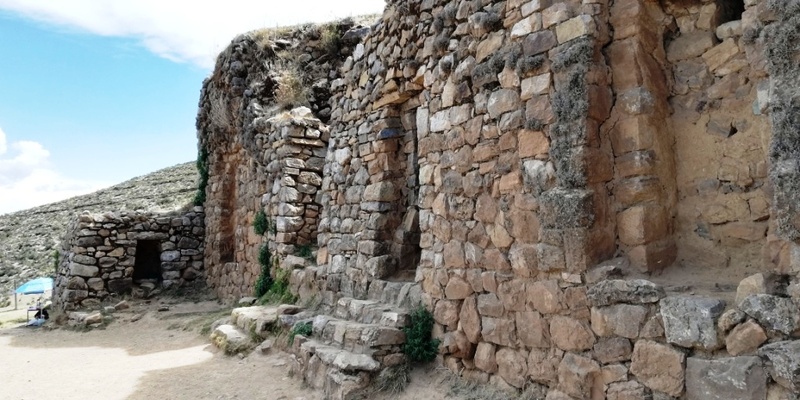 The bus leaves at 10pm from the Peru Hop Terminal in Cusco which is located about 1.2kms south east of the Plaza Major del Cusco. We were at the terminal as it opened just after 9:30pm. 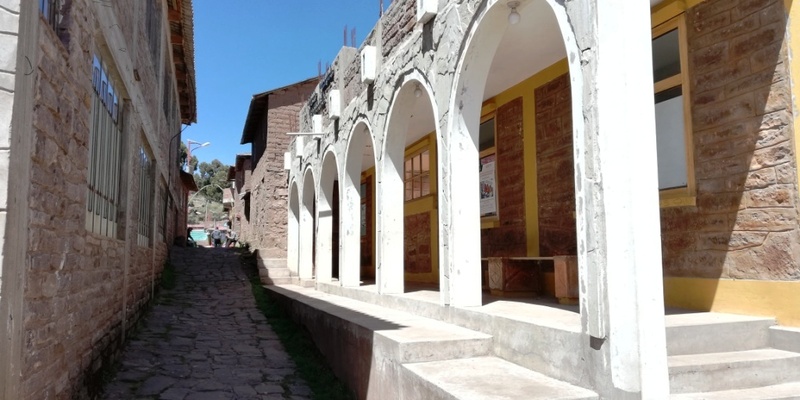 The bus from Cusco to Puno (and on to the Bolivian border) is a Double-Decker bus with Business Class seating downstairs and Economy Class seating upstairs. You do not get assigned seats. It is a ‘free for all’. First come, first served. We made sure that we were at the front of the boarding queue and were lucky enough to get 3 Business Class seats downstairs. Bolivia Hop buses provide USB ports and blankets. 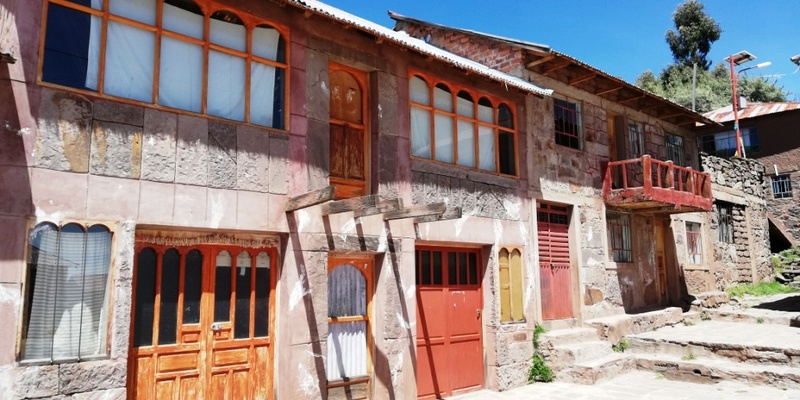 Our trip was comfortable and we arrived on schedule in Puno at 6am. 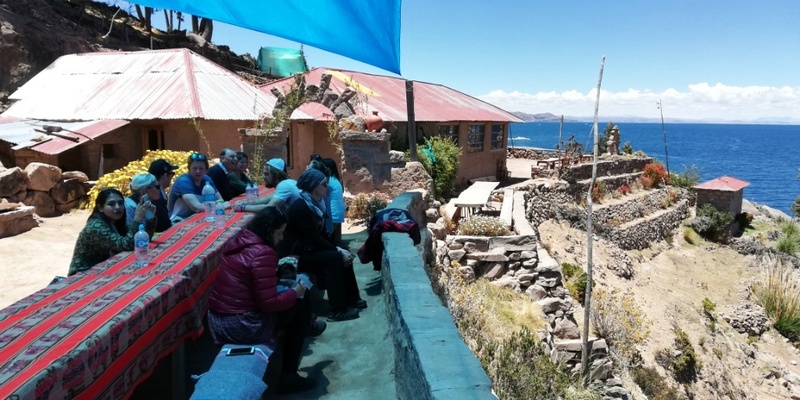 In Puno, we transferred to a shuttle bus (free) that took us to our hotel. We booked 2 nights at the Suites Antonio. 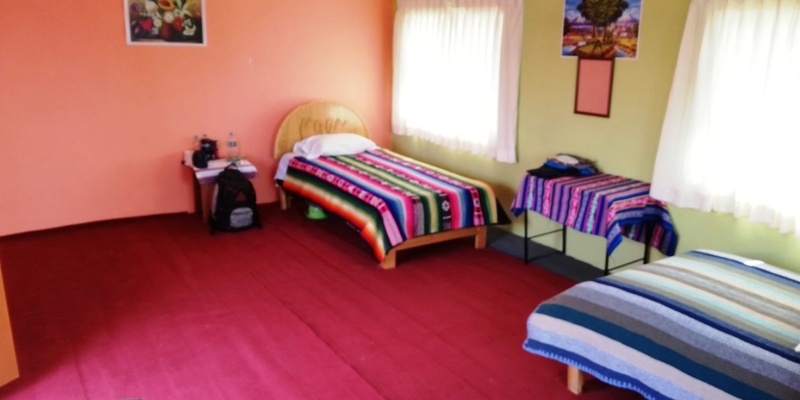 We booked a Double Room for US$19.80 and another Double Room (single occupancy) for US$14.40. Both included Breakfast. With a hot water shower. It came with Cable TV (no English speaking channels) and ‘variable’ wifi. As we arrived so early, they let us have a buffet breakfast for P$10 each. There was cereal and yogurt, some fruit, butter, jam, lots of bread, a smattering of cheese and ham slices, and unlimited tea and coffee. 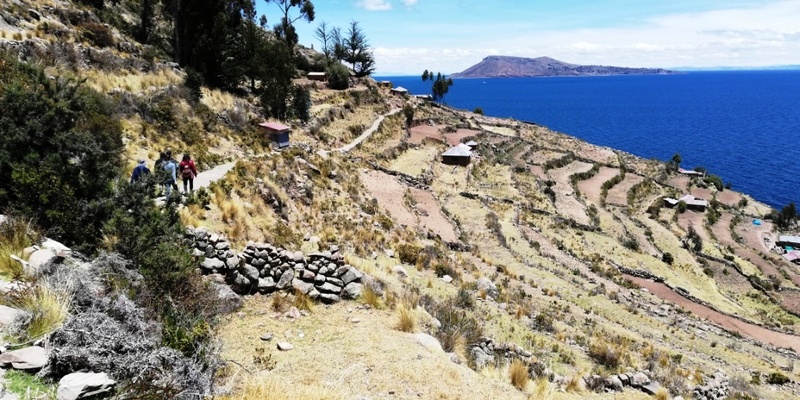 We booked our 2D/1N ‘Three Island Tour’ with Bolivia Hop for US$37 each: Floating Islands, Amantani Island, and Taquile Island. We were picked up from our hotel at 7:45am and taken down to the port. We were underway soon after 8am. Within half an hour we were at the Floating Islands. 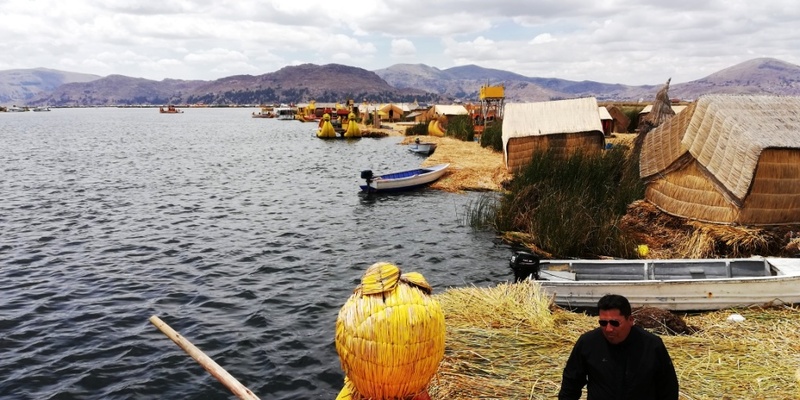 In Spanish Colonial times the local people took to the water in reed boats to escape being forced to work in the Bolivian silver mines. 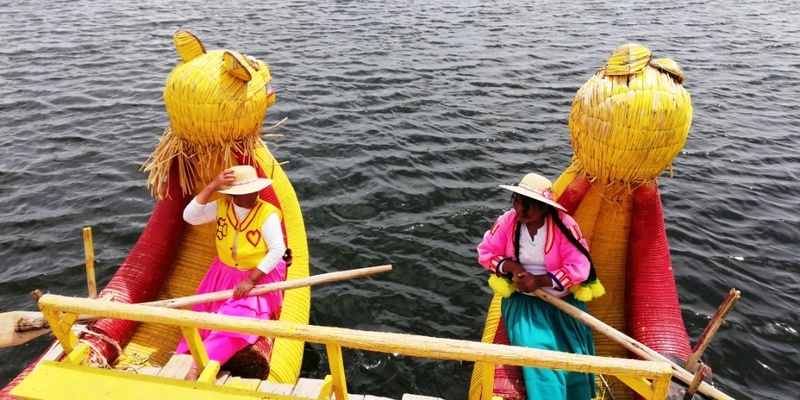 They survived on their reed boats for centuries. 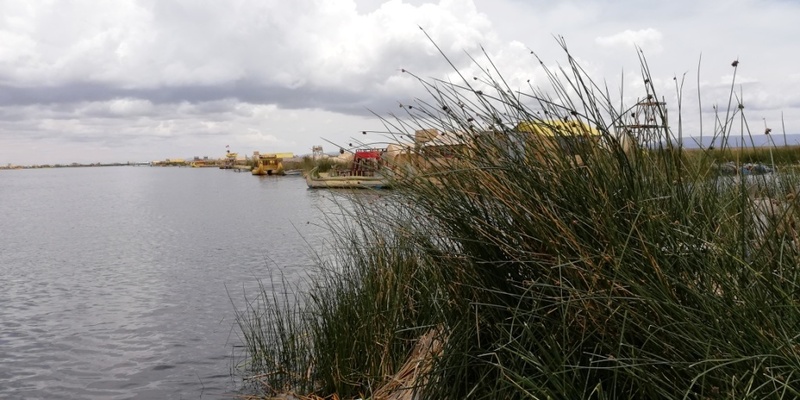 It wasn’t until the early 1900s that they started to build the Floating Islands. Alas, the tour to these islands feels a bit ‘plastic’. You are welcomed to the first island and sit through a show that explains how the islands are built. 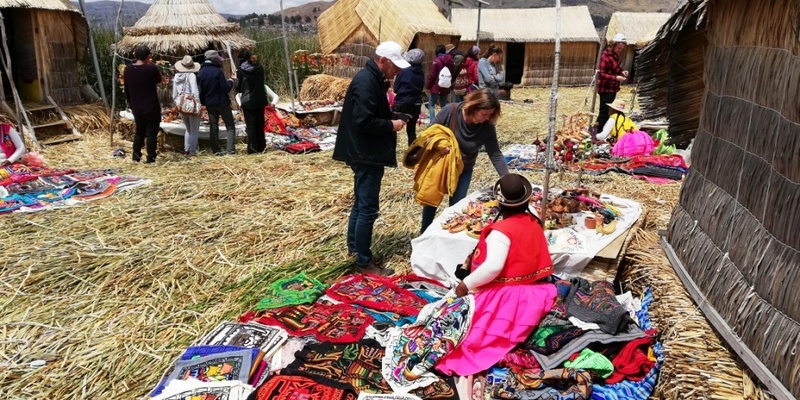 You are, then, whisked away by one of the ladies to view her home and the local crafts that she tries to sell to you. You are, then, taken across the water on a reed boat (an extra P$10) to another island. The ladies row but a motor powered boat pushes from behind. 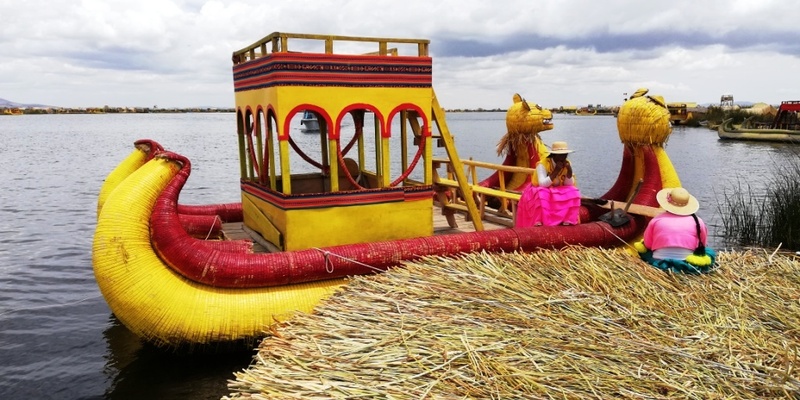 You don’t have to take the reed boat (you can cross on the tour boat if you want to) … but, if feels almost compulsory. This second island has a souvenir shop and a restaurant with WiFi. They even accept Visa Cards! … a life very different from the one that tourist see. I left feeling that it was all too ‘orchestrated’. 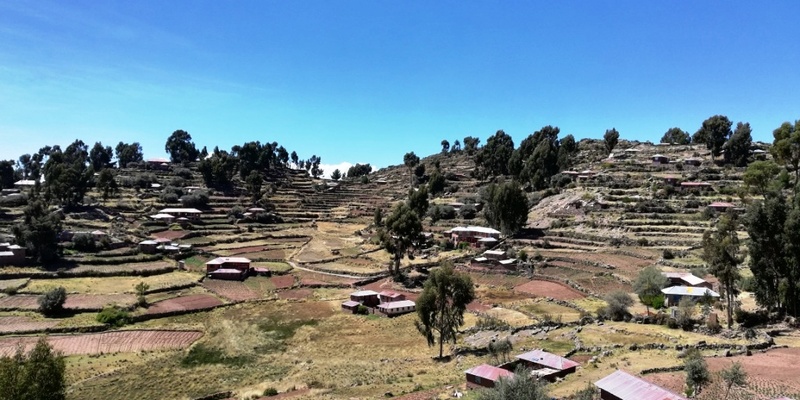 We landed and we were met by a group of locals: each a Homestay Owner. Our tour guide allocated us out to the Homestays in logical groups. We three were allocated to Sophia along with one other single man: Daniel. 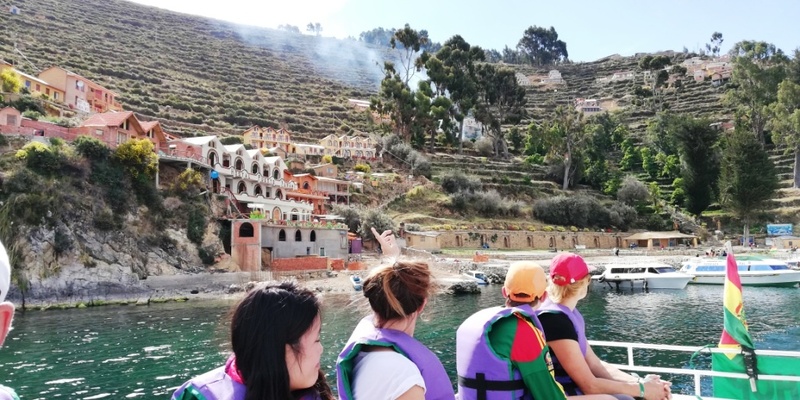 We were told that the tour boats rotate around the island to ensure that all of the Homestays get a share of the tourism trade. 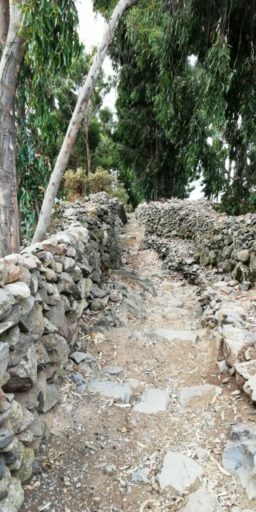 We were led up a steep path to our Homestay. It was very basic. 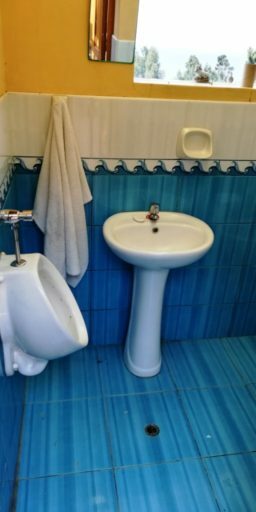 The shared toilets were on the ground floor. They looked nice and modern but had no running water. 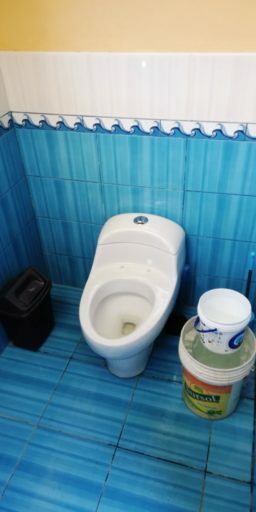 You flushed the toilet with a bucket and brushed your teeth using the tap of the water reservoir. The rooms were just as simple. There were no power sockets to re-charge your equipment. Each bed had the ‘prescribed’ 4 thick, heavy, wool blankets. 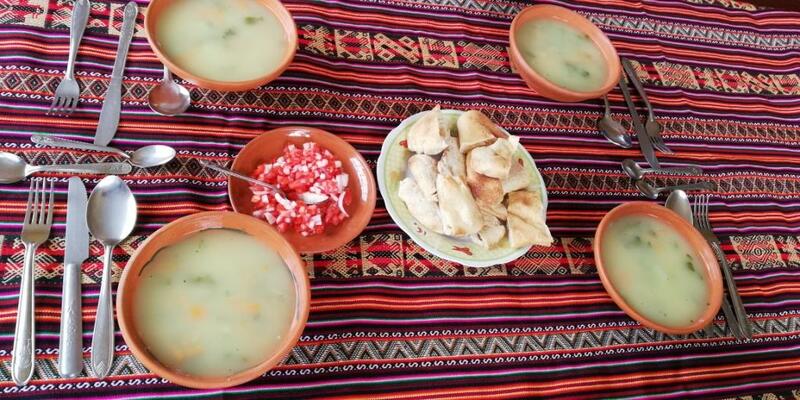 … followed by boiled vegetables with fried cheese. After Lunch we met in the Village Square at 4pm. 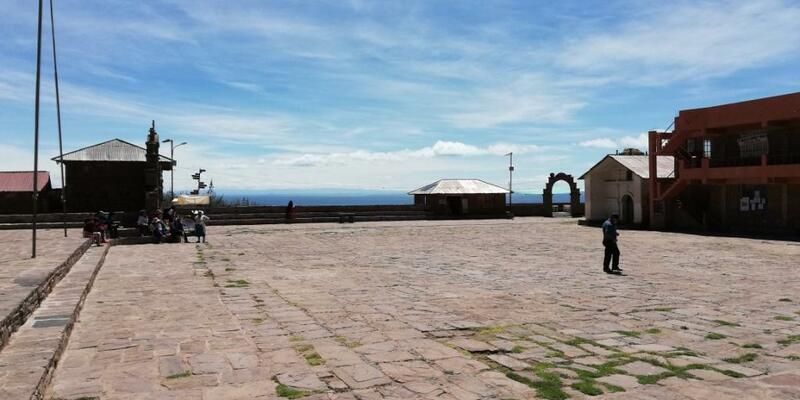 Keen trekkers took the 6km round trip walk to the Mirador to watch the sunset. Others went home to rest. I went for a wander around the island. 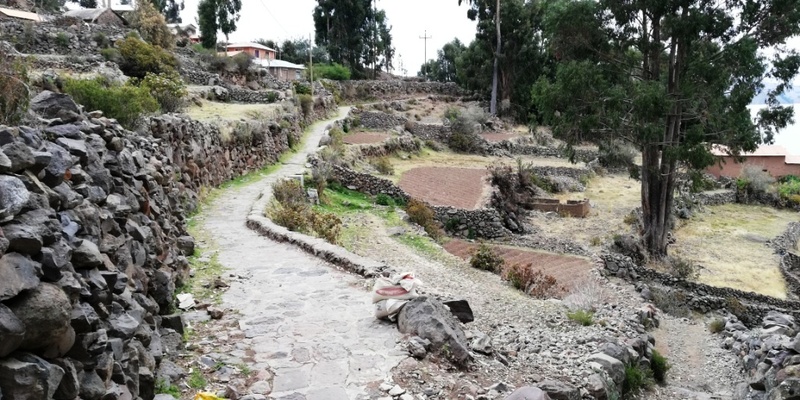 Once you got up the hill to the village, the walking tracks were flat and easy. It was a pleasant walk with nice views. We were instructed to be back at the Village Square at 6:30pm for a briefing. It was, then, back to our Homestays for Dinner at 7:30pm. Our dinner was a simple vegetarian pasta. 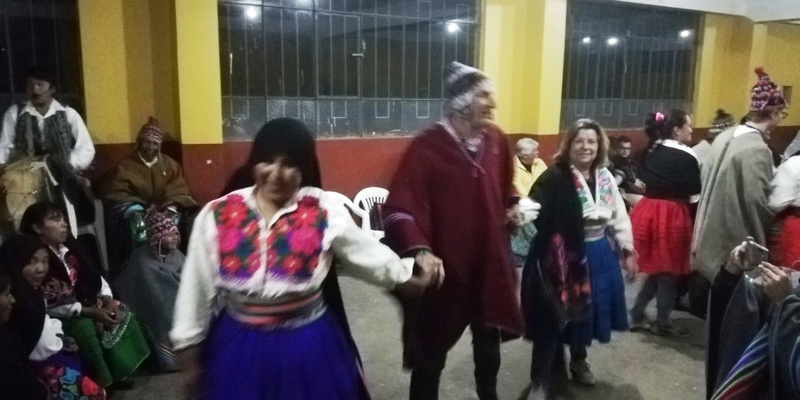 The villagers put a dance on for the tourists at 8:30pm. I suspect that this is done every night that tourists are in town. 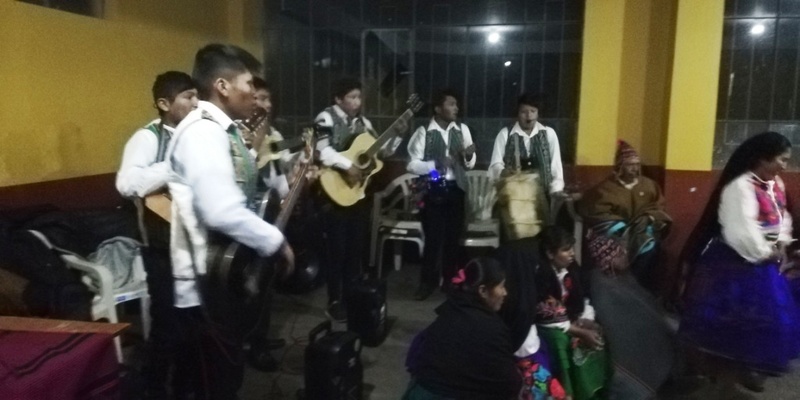 We were all dressed up in traditional costume and taken to the Town Hall for traditional music and a dance with the locals. The dance lasted 1 hour. We were all home by 9:30pm. Bring a flashlight. 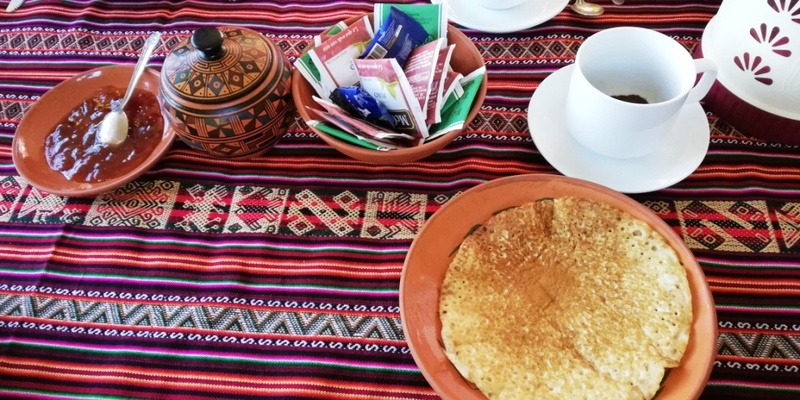 We were up early in the morning for a simple pancake breakfast before boarding our boat to Taquile. 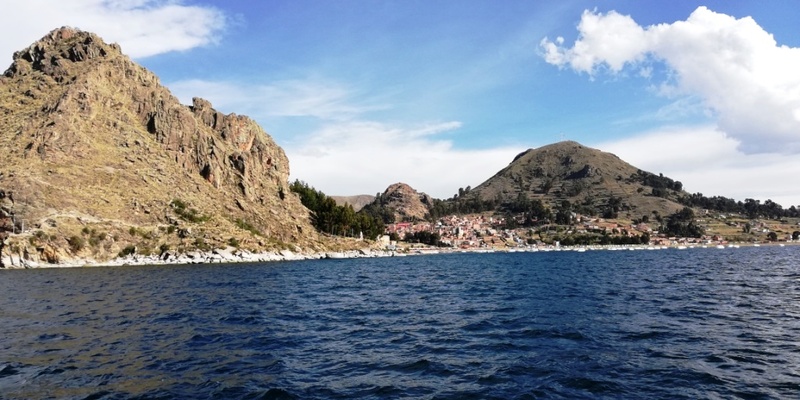 We cruised across the Titicaca waters to the neighbouring Tanquile Island. Our landing point required us to climb the famous ‘500 steps’. This was too much for Di & Jeff, so they stayed on the boat and cruised around the island to the 2nd harbour. 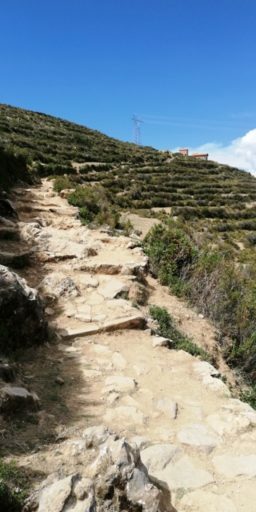 I continued higher and higher up the steps until I reached the old Inca Path. From the top of the steps it is an easy walk around the island. We re-grouped in the main square (to allow the slower walkers to catch up). 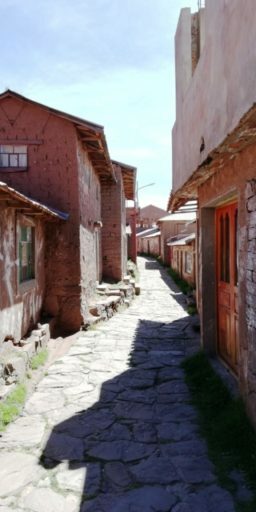 Around the main square were small alleys. After 20-30 minutes in the square, we set off again. The views were typical of these islands. And, again, the path was easy work. We finished our 1.5 hour walk at a small restaurant over-looking the harbour. Here, we stopped for our final lunch before heading home. Those that had paid US$30 for the tour had to pay for their own lunch. Those that had paid US$37 had lunch included. There was a choice of 3 mains. I had grilled trout – which was very nice. 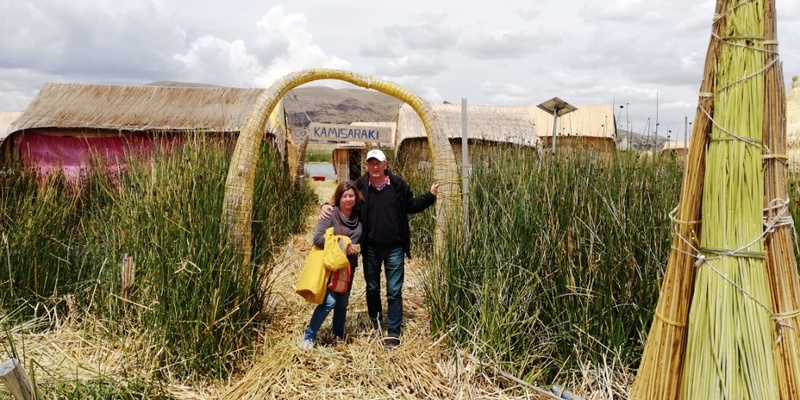 We were back in Puno by about 3:30pm and dropped off back at our hotel by 4pm. 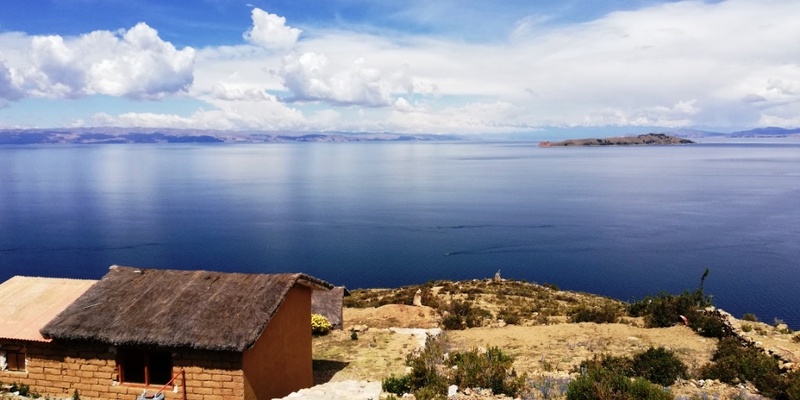 We continued on our Bolivia Hop ticket from Puno to La Paz stopping in Copacabana for 4 hours along the way. This, again, was a Double Decker bus to the Bolivian border … we were lucky and got Business Class seats downstairs again. It took 3 hours to get to the border. 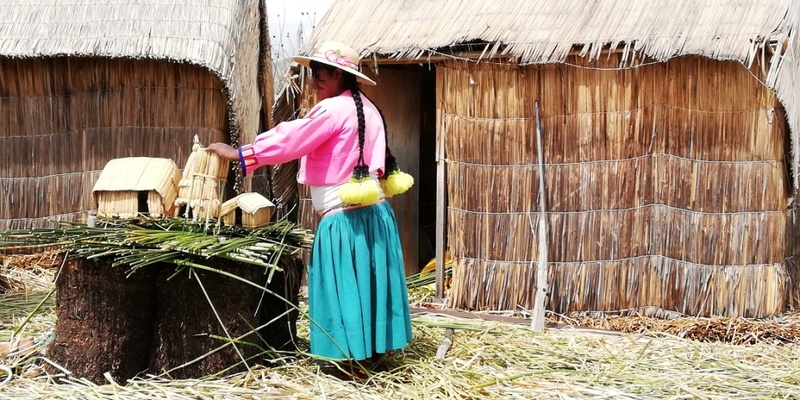 Clearing Peru Immigration was quick and easy. 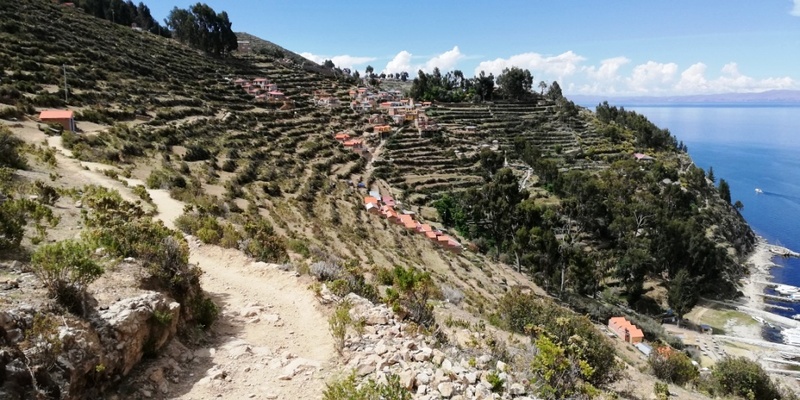 It is a 200m walk uphill from there to Bolivia Immigration. 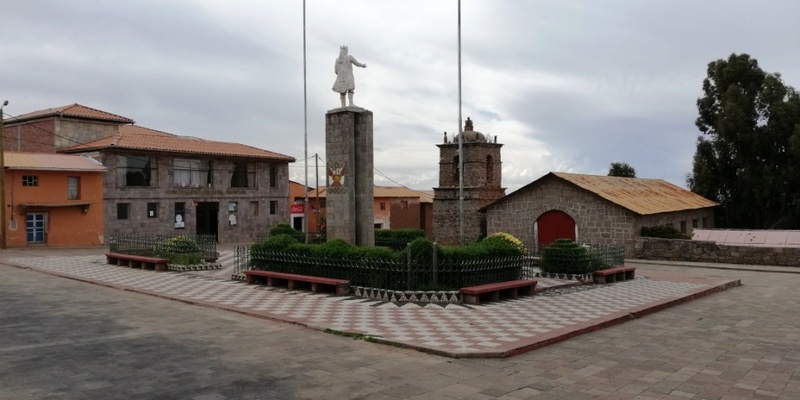 Bolivia Immigration was quick and easy. We were all through in about 30 minutes. 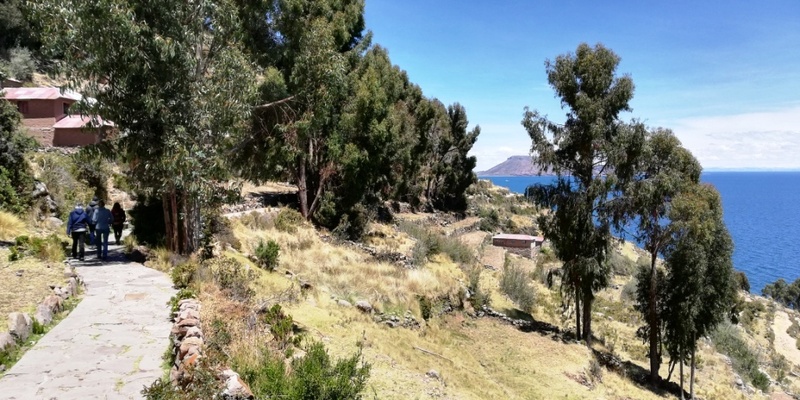 The Bolivia Hop bus to Copacabana & La Paz was awaiting us on the other side. It was a simple Single Decker with Economy Class seating. We were in Copacabana about 20 minutes later … we had time to look around the town and ‘choose our spot’. Look in the green-shaded area first but only look in the upper northern block if you are fit and you are happy to climb hills. Yellow is worth a look. Red is borderline. We chose to pay a premium price to stay on the waterfront with a terrace, balcony, and views. 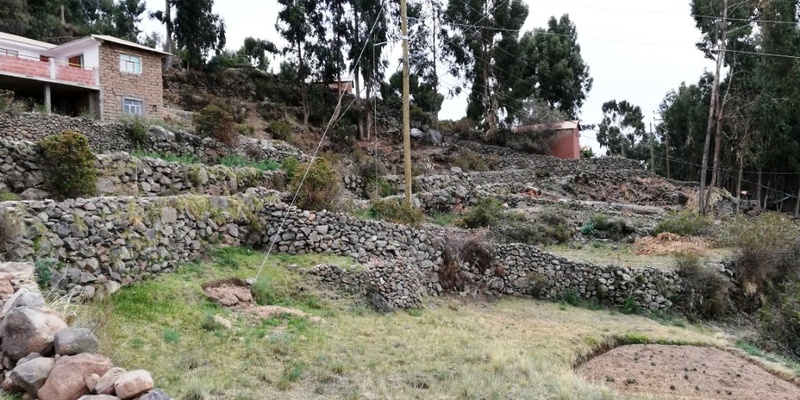 We chose the Hotel Estelar del Titicaca. 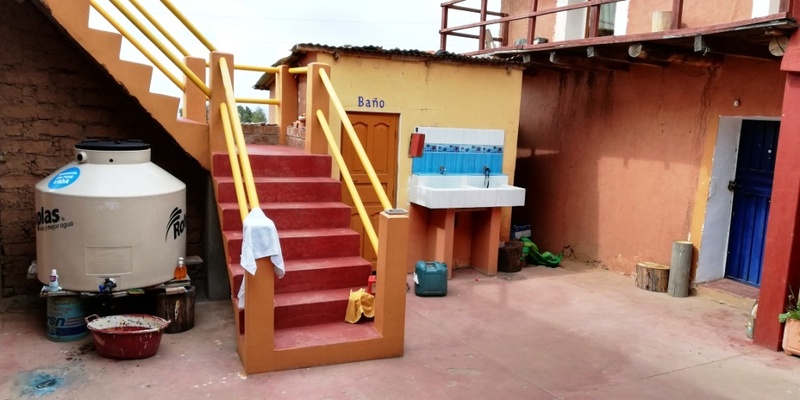 We walked in off the street and negotiated a cash price of B$600 for a Double Room and B$400 for a Single Room. Both with a balcony. Both including an American Buffet Breakfast. We left 50% deposit. … which we rode for several hours trying to do the complete ‘circuit’. When we returned to Copacabana 3 days later, our rooms were waiting for us. My ‘Single Room’ turned out to be a ‘Double Room with Single Occupancy’. … and a Balcony with a wonderful view. The furniture was simple and it included Cable TV (no English speaking channels). … and it came with a good hot water shower. 3 wifi connections were provided: one for the hotel, one for the terrace restaurant, and one for the downstairs restaurant. All 3 were unreliable and variable … often you found yourself flicking between them to get a workable connection. 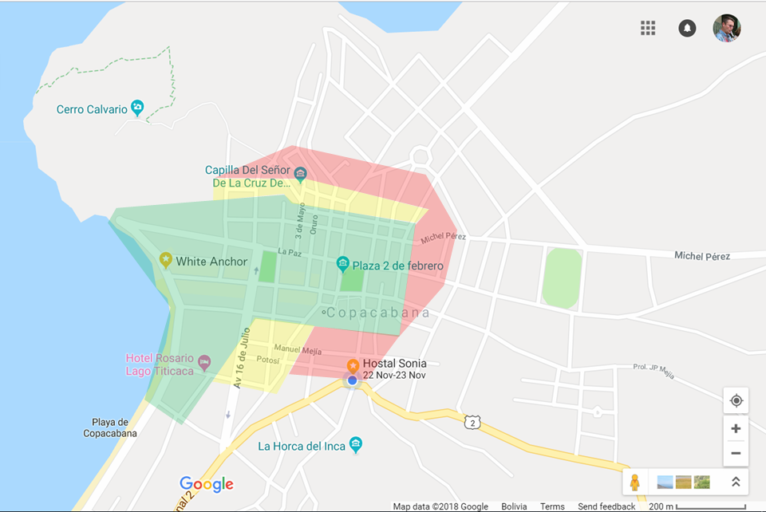 There is a dispute between the north (80% of the island) and the south (20% of the island) over the share of the tourism trade. 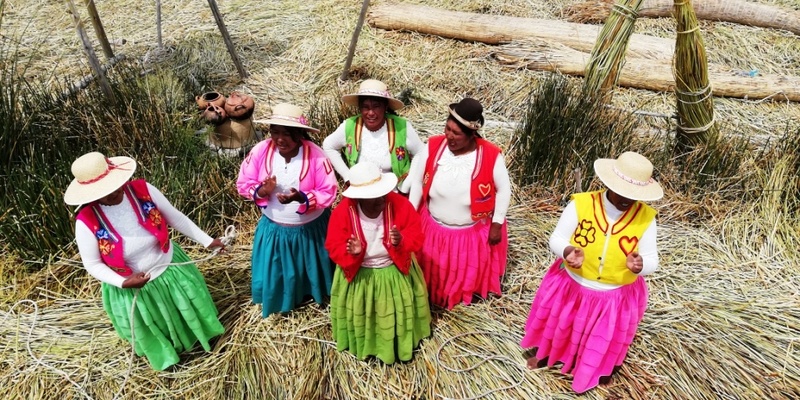 The north is owned by the indigenous communities. The south is privately owned. Tourists cannot go to the north of the island until the dispute is resolved. 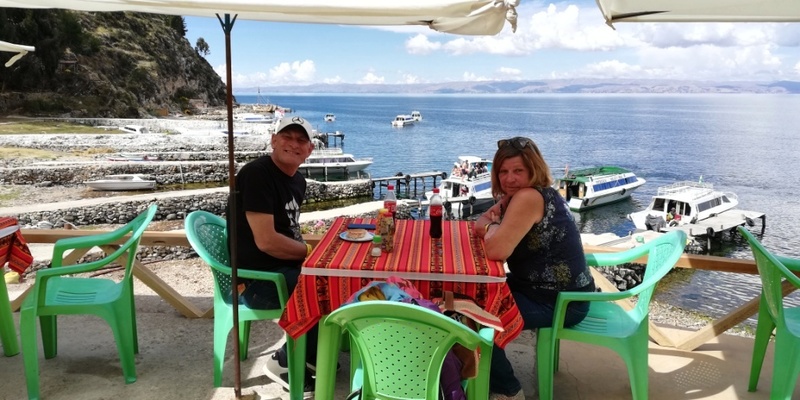 We investigated our options … options which were limited by the fact that we had to connect to our Bolivia Hop bus (Copacabana to Arequipa) at 4:45pm in the afternoon. 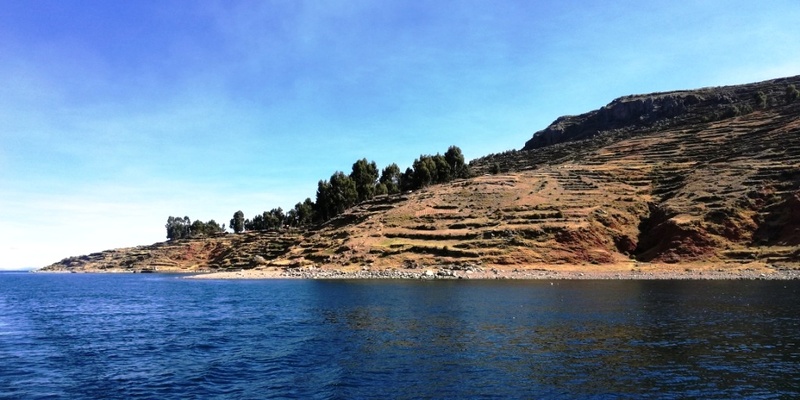 The ‘public boats’ to Isla Del Sol leave at 8:30am and 1:30pm each day. They return at 10am and 4:00pm each day. They are slow and take 1.5+ hours each way. This meant that we couldn’t take public transport. 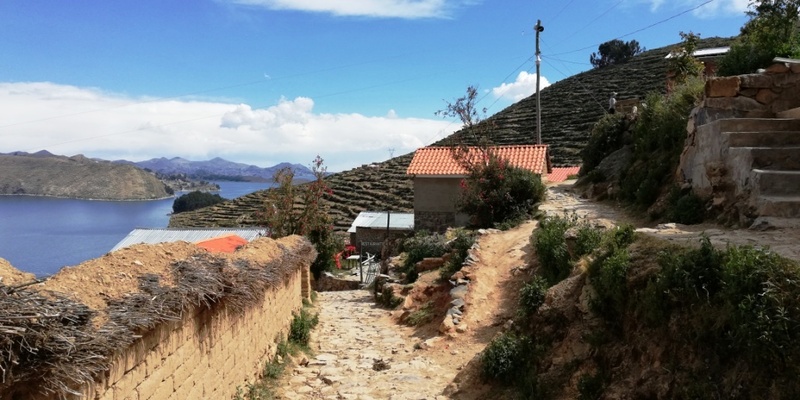 Tour operators offer an 8:30am to 4:30pm two island tour of Isla De La Luna and Isla Del Sol. Prices range from B$25 each to B$60 each. 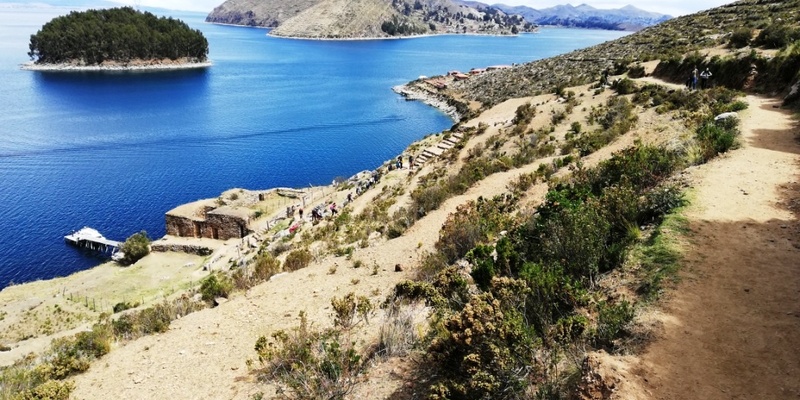 We read many reviews (online) about Isla De La Luna which said that the extra hours were not worth it. We, also, didn’t trust these tours to be back by 4:30pm. 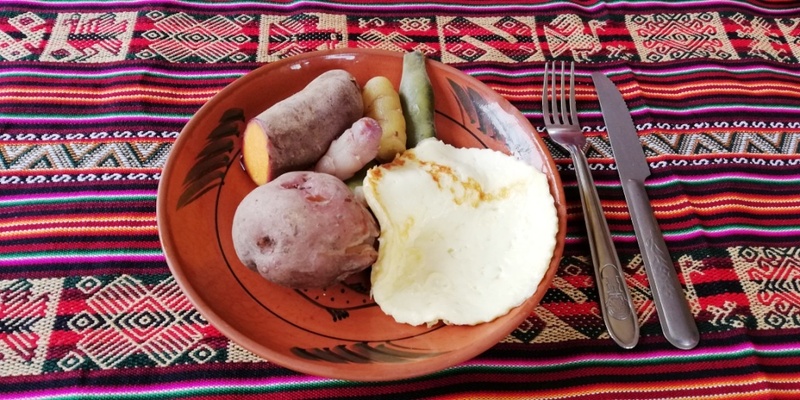 We didn’t want to miss our Bolivia Hop connection at 4:45pm. 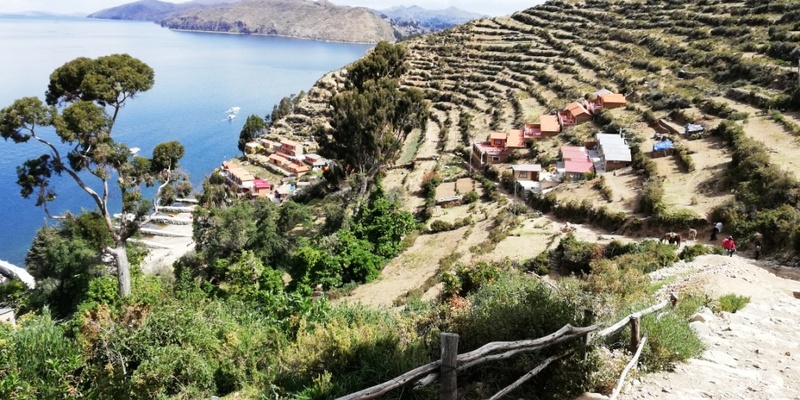 In the end, we chose the safe option: the 1/2 day Bolivia Hop Tour to Isla Del Sol for B$70 each. 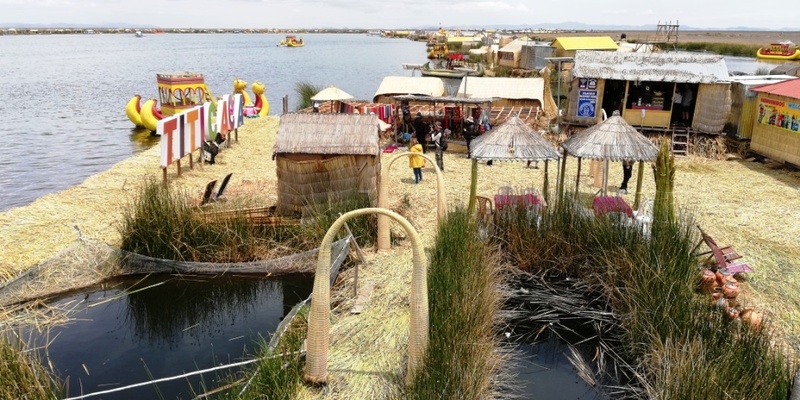 Bolivia / Peru Hop customers who don’t have a ticket can just turn up and buy one on the boat. 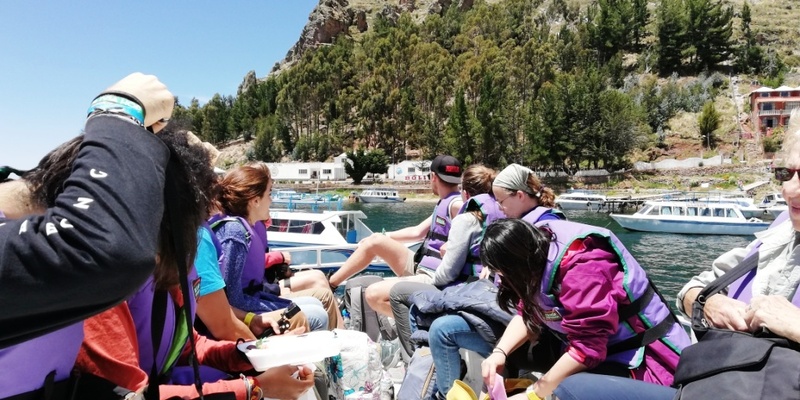 The boat is scheduled to leave at 1pm, be at Isla Del Sol 70 minutes later at 2:10pm, and leave at 3:30pm back to Copacabana. This leaves people 1 hour 20 minutes to walk the trail. We set off late and, after having some engine problems on the way, landed late (at 2:40pm). The driver (who spoke no English) told us that we would leave at 3:40pm. Luckily, I knew enough Spanish to translate. This gave us an extra 10 minutes to walk the trail … but we only, now, had 60 minutes to do it. 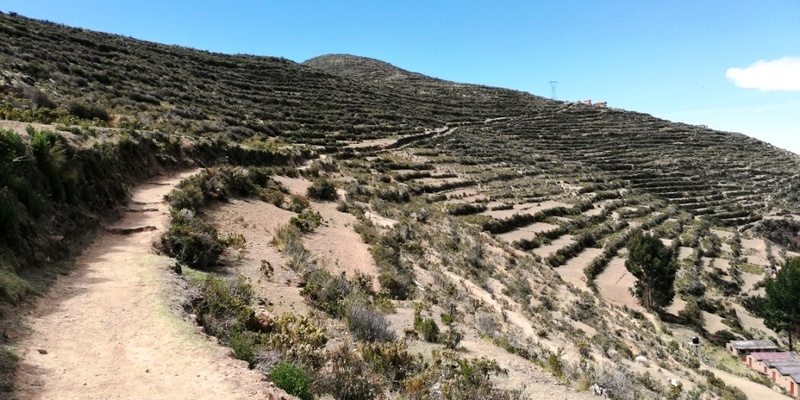 You start by walking up 200 old Incan steps to the Incan Trail. Di (knees) and Jeff (asthma) were not sure if they could make it up the steps but (after missing out on Taquile) wanted to try. I asked the driver how long he could wait before continuing on to the 2nd harbour. He said normally 5 minutes but that he would extend that to no more than 10 minutes. That wasn’t enough time. Di and Jeff had no choice but to stay on the boat. It takes about 10 minutes for a fit person to climb the steps to the top (without pause). For some, it took over 20 minutes. 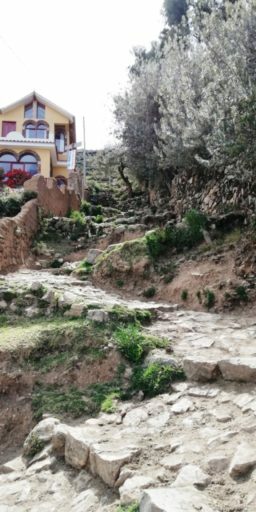 The ruins at the top of the steps were small and unimpressive, so, I pushed on along the trail towards the ‘viewing point’ at the restaurant in the distance. Behind me, people were still making their ascent. The trail is easier from this point with just the odd few steps. 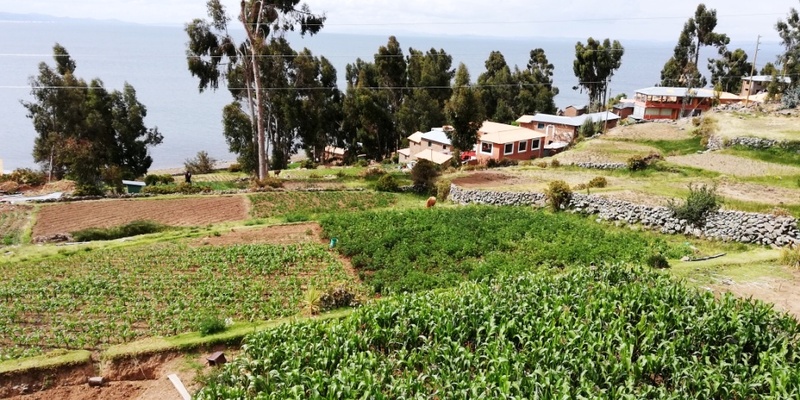 From the restaurant at the highest point of the trail you look out to Isla De La Luna. Before you turn to head down to the 2nd harbour. 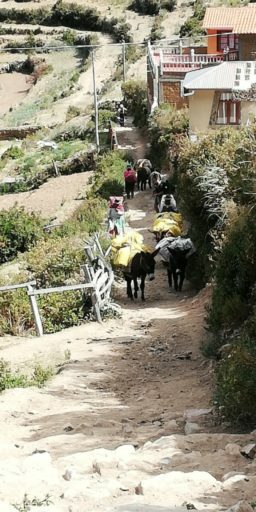 You pass working donkeys bring goods up from the boats to the village. It takes 40 minutes to get from the 1st harbour to the 2nd harbour (without stops). Di and Jeff had been there for about 20 minutes. They were disappointed. They could have done the trek. All that they needed was for the boat to give them 10-15 minutes longer to find out if they could make it up the steps. There was no reason why the boat couldn’t have waited longer in the 1st harbour. The boat sat in the 2nd harbour for over 20 minutes doing nothing. Anyway, we set off slightly late and we were further delayed by more engine trouble. We didn’t land in Copacabana until 4:55pm. 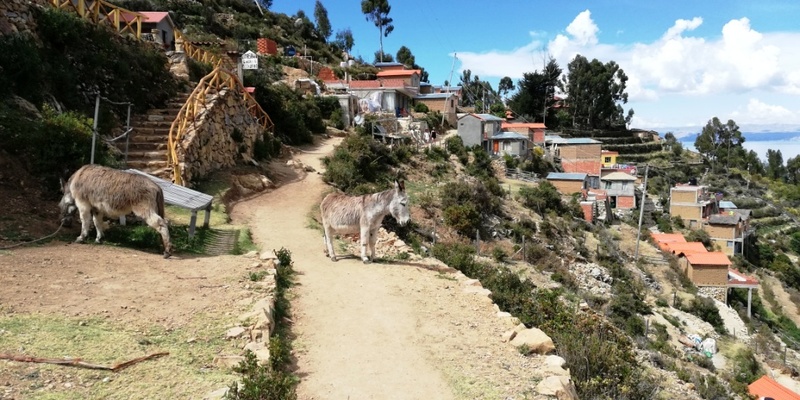 The other passengers were just finishing getting on to the Bolivia Hop bus. I approached the guide and asked if the bus would wait for us to go to our hotel and collect our luggage. We had made the right decision. 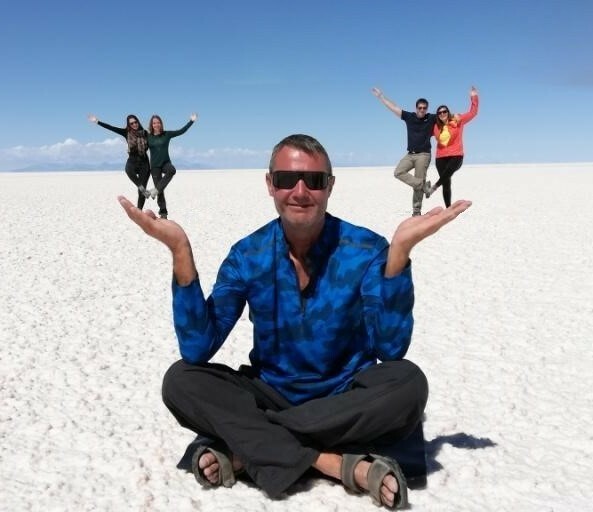 The guide had no choice but to wait for us … the Bolivia Hop trip had returned 25 minutes late with his Bolivia Hop passengers … what else could he do? 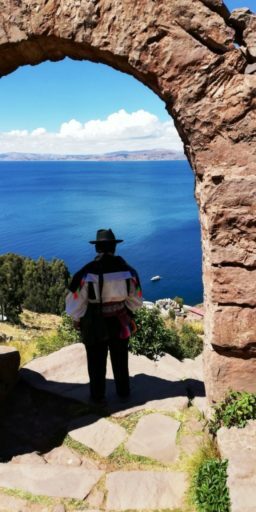 Lake Titicaca was definitely worth it. It is a beautiful place. The Floating Islands were a bit ‘tacky’. 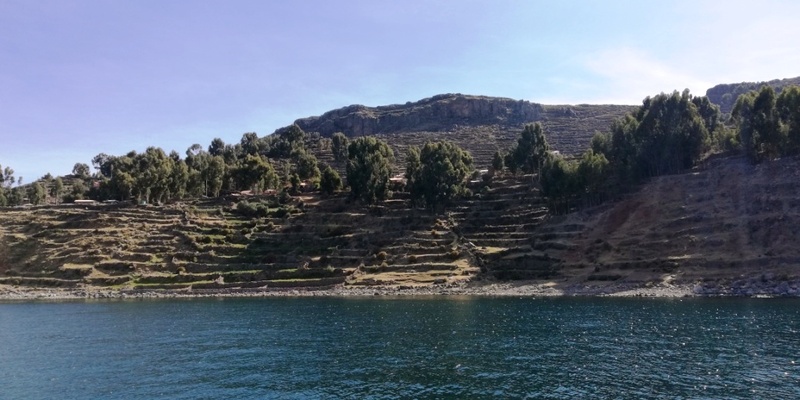 Amantani Island was a bit ‘orchestrated’ but still worth staying on overnight. 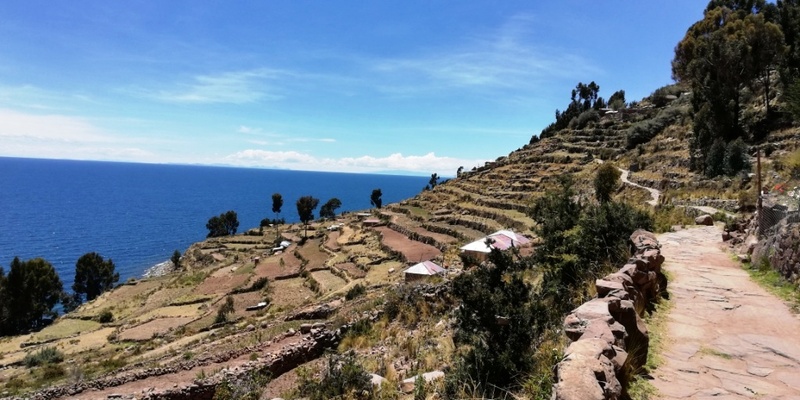 Taquile Island was a pleasant trek. 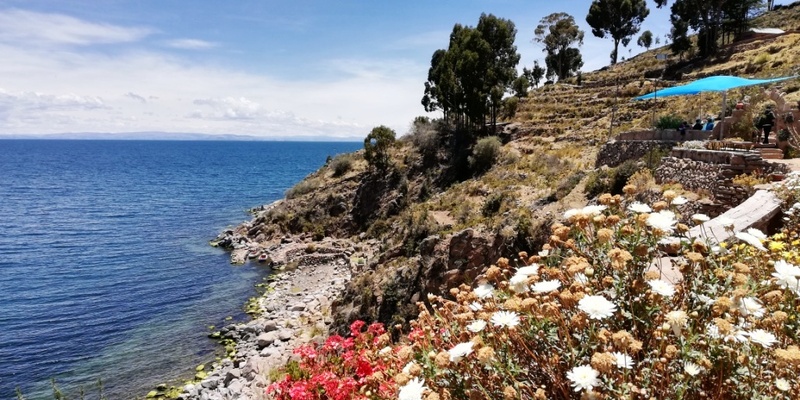 RECOMMENDATION: I wouldn’t do the 1/2 day Bolivia Hop Isla Del Sol tour again. I advise you to stay 2 nights in Copacabana and spend the whole day. You will be able to see more of the island and more ruins. Catch the 8:30am public boat and return on the 4:00pm public boat. The return trip costs about B$40.